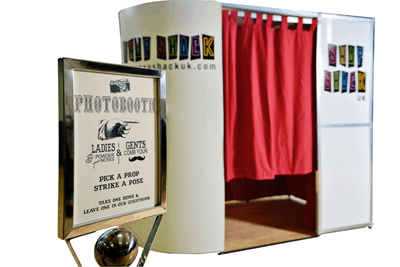 Party photo booth for all your Parties, Weddings and Corporate events. If you looking for a Party photo booth? Look no further! Snap Shack UK will guarantee a night to remember for you and your guests! The laughter our party photo booth creates is amazing and everyone is sure to have the best night! Whether you are holding a corporate event, a Wedding, special party or just want to have a great time, we are dedicated to making your night one to remember. We will set up our high specification party Photo Booth and our booth attendant will make sure everything runs like clock work. We will provide the entertainment so you and your guests can just have the fun. We cover the south for all your Party Photo Booth rental needs. We tailor our party photo booth pricing to your requirements! Our Booth attendant can collect your photos throughout the event and compile them into an album. At the end of the evening we can present you with all of your photos in a beautifully presented album with guest messages!. A collection of random props to give your pictures a touch of hilarity! We’ve got Sailor Hats, Inflatable Guitars, Feather Boas, Plastic Guns, Silly Glasses and many more! Make a change from the ordinary background! Have your photo taken with different celebrities, characters & places with our top of the range green screen. Start sharing straight away with our Facebook feature. Guests have the option to upload their photo’s from the Booth straight to Facebook. Add a gust of excitement with this upgrade! Create dramatic vogue and rock star effects with our wind machine. Get some soul in your snaps with our speaker add-on. We can provide any type of music inside the booth to give your guests something to move to! Get your guests starring in your very own music video! Pick a song you like and we can get your guests dancing along to it. This would be sent to you after the event. Unlike most Photo Booths ours holds up to 10 people, so more of your friends and family can pile in for the ultimate photo. A feature we are very proud of! No more waiting for weeks on end to receive your Prints and Videos. Take it all home on a USB at the end of the night! Carry your pictures with you on a keyring for laughs that last a lifetime. Contact us now for your party Photo Booth personalised quotation.